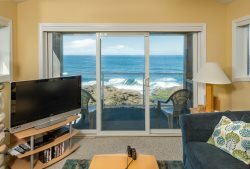 Experience the breathtaking whale watching views from this spectacular 3rd floor "loft" unit. Step into this dramatic one-bedroom unit that has plenty of privacy, making it the perfect romantic getaway for a honeymoon, anniversary, or weekend away. NEW April 2016 - Gorgeous Remodeled Kitchen with granite counters and stainless steel appliances. BEAUTIFUL NEW tile flooring in kitchen and bathroom. Escape the stresses of everyday life and be rejuvenated as you sit in the cozy furniture by the gas fireplace or on the private deck. Enjoy the elevator access to your door, electric BBQ for your cooking pleasure, and the XM radio gives you plenty of options for your listening pleasure. Whaler's Loft is bright, cheery, and incredibly cozy... with some of the most dramatic views around. WE enjoyed to condo, it met all our needs and expectations. Easy to book and got all information we needed to make our stay great and worry free! Would and I already have recommended it to family and coworkers! It was so nice, clean and comfortable. It exceeded my expectations. The view was absolutely amazing. Everything was perfection. Comfy bed ,clean , and so welcoming! I am already planning my next visit, thank you so much!! Over the years members of our family have stayed in this unit or others. We are SO grateful to the owners who are willing to allow these homes to be rented. We are also grateful to the BP staff for being kind and helpful. Also a shout out to the cleaning crew, bravo! Relaxing, wonderful, magnificent place to enjoy one of the most beautiful spots on our planet. Whalers Loft is beautiful, comfortable and the view is magnificent! Great views, cozy environment, comfortable furnishings. Blue Pacific has always been prompt, accurate and professional. Beautiful condo and property. Love that the condo is somewhat isolated from others so that is it always quiet. No smoking and no barking dogs also a plus! The view is incredible, of course. We have visited this condo multiple times and have always been impressed with its furnishings and cleanliness. The rental process was very easy. We have stayed here several times - not always the same unit - but have repeated two units multiple times. The location and view can't be beat - close to both Newport and Lincoln Ciity. The whales are always spoutung right out front unless it's really stormy - then you have a different kind of beauty. 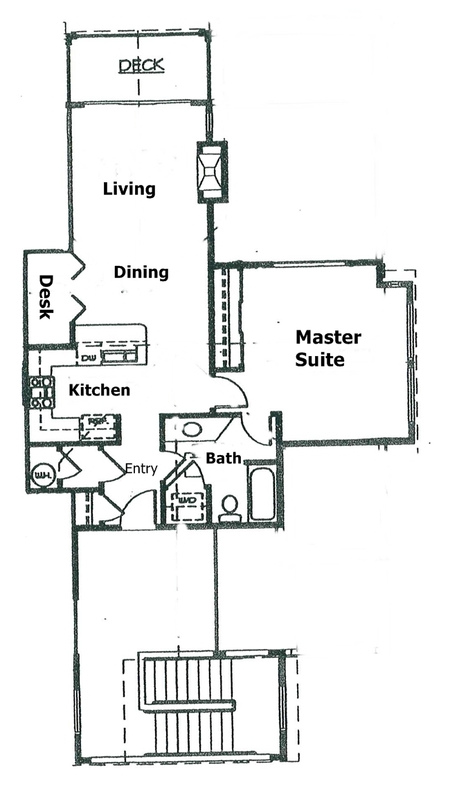 The condos are well equipped, clean, and comfortable. The club house amenities are very nice. One of the best short vacations (only three nights) we have ever had. It was very hard to leave on our departure day. We would love to come back again soon. Very nice updating since the last time we stayed here. Very nice new appliances. Everything you need if you choose to cook in. The Electric grill in the front entry area is a nice touch. Excellent accommodations, reasonable price, no problems. Love it and will be back. Extremely well kept with full kitchen and laundry. High end appliances and finishes. See whales every day directly from unit. The process was simple and efficient. We received the promised information on the exact date and there were no problems at all! It was lovely with high quality appliances, and charming furnishings. The bed was very comfortable and we appreciated the extra decorative touches such as pictures and a gas fireplace. Binoculars were even provided for watching the whales! We also really enjoyed the various books provided about touring the area. We were there for 2 amazing weeks and did many of the side trips suggested.